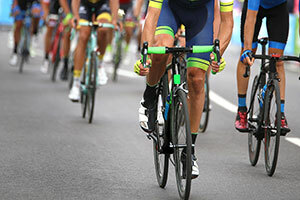 A multi-million dollar fraud lawsuit filed by the US government against former professional cyclist Lance Armstrong will go to trial in November of this year, but the sides are engaging in pretrial skirmishes over the admissibility of expert witnesses. Armstrong, who famously fell from grace after admitting he used PEDs to achieve cycling greatness, has been sued by the US government to recover sponsorship money paid to Armstrong and his team by the US Postal Service (USPS). Both sides have called on expert witnesses to debate the value the USPS received from its sponsorship in order to help determine if the government was victim of a fraud perpetrated by Armstrong. In 2010, former Armstrong teammate Floyd Landis initiated a federal whistleblower case under the False Claims Act by asserting that the 7-time Tour de France champion’s deception about PED use constituted a fraud against the US government, which sponsored Armstrong’s team through the US Postal Service from 2000 – 2004. Armstrong admitted to doping during his cycling career after a 2012 investigation by the US Anti-Doping Agency resulted in him being stripped of his Tour de France titles and banned from the sport. According to the government’s lawsuit, Armstrong’s PED use invalidated the USPS’s sponsorship contract. The agreement between the USPS and Armstrong paid $32.2 million during the life of the sponsorship, and federal attorneys argue that the cyclist violated the terms of the deal by cheating and lying, which in turn made the sponsorship worthless. For his part, Armstrong and his attorneys have argued that during the life of the sponsorship agreement the USPS did not suffer any harm, but instead received a healthy financial profit as a result of the relationship. Suspicion of Armstrong’s doping did not reach peak levels until several years after the deal ended, and the former cyclist argues that the government received full value for its sponsorship during the period when he was winning multiple Tour de France titles. Both sides have attempted to prove the value of the sponsorship agreement with economic expert witnesses which the presiding judge will assess during the months preceding trial. US District Judge Christopher Cooper has allowed the government to pursue its lawsuit against Lance Armstrong by presenting “admissible evidence regarding the negative publicity the Postal Service received following the disclosure of Armstrong’s PED use,” allowing a jury to determine if the USPS suffered actual damages, and if so, what amount. In an effort to prove the diminished value of its sponsorship agreement, the government proposed expert witness Larry Gerbrandt, who has submitted a report identifying nearly 1.5 billion online media impressions arising from Armstrong’s doping, with an additional 154 billion impressions stemming from the media coverage. Gerbrandt’s expert report concludes that these impressions highlight the negative publicity surrounding Armstrong, and significantly reduced the value of the sponsorship. Armstrong’s attorneys have submitted a motion to bar Gerbrandt’s testimony because it offers no concrete evidence of diminished value, and instead asks the jury to speculate too much on the central issue of the lawsuit. The government has also submitted expert Jonathan Walker, who has evaluated the sponsorship agreement and concluded that it was worth zero dollars because the deal would not have happened had the government known about the doping. Walker’s expert testimony has been challenged by Armstrong’s team who have argued that a prior ruling in the case already dismissed claims by the government based on the argument that it never would have signed the agreement had it known about the doping. Armstrong, who has maintained that the government received more than fair value for the USPS sponsorship, has submitted an expert witness to evaluate and estimate the value that the government earned from the deal. Douglas Kidder, an economics expert witness, conducted a valuation of the agreement and submitted a report which estimates the Postal Service received $257 million as a result of media exposure during the life of the sponsorship. According to Kidder, the government benefited financially from its relationship with Armstrong before revelations of doping became a serious public concern, and as such, the sponsorship was profitable. Government attorneys have argued that Kidder is not competent to testify about media-based value of the sponsorship agreement, and as such he should be barred from testifying. Judge Cooper will review all the motions and arguments regarding proposed expert testimony in the Lance Armstrong fraud case this summer, setting the stage for the trial in November. Should Armstrong be found liable for fraud so severe that it nullified the value of the sponsorship, he could be forced to pay the government $100 million — which is triple the value of the deal and the maximum penalty allowed under the False Claims Act. Even if Armstrong’s attorneys and experts prove that the government did not suffer economic damages, he could be subject to penalties of up to $451,000 if found liable for fraud.